Mac users can take advantage of the Time Machine for this. As of May 2012, Mac OS X comes preinstalled with Python 2. 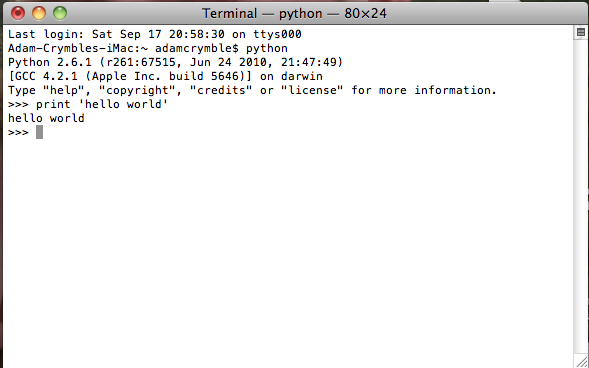 You can check to see if you have Python installed by launching the Terminal in the ‘Applications/Utilities’ directory and entering which python followed by the Enter key. Pushing the Enter key sends the command to the computer when using the terminal. If you see ‘/usr/bin/python’ or something similar containing the word ‘python’ and a bunch of slashes, then you are all set. If not, close the Terminal, download the latest stable release of the Python programming language (Version 2.7.12 as of August 2016) and install it by following the instructions on the Python website. Click OK. Your new Run Python command should appear in the Toolbox pane. Another way to interact with an interpreter is to use what is known as a shell. 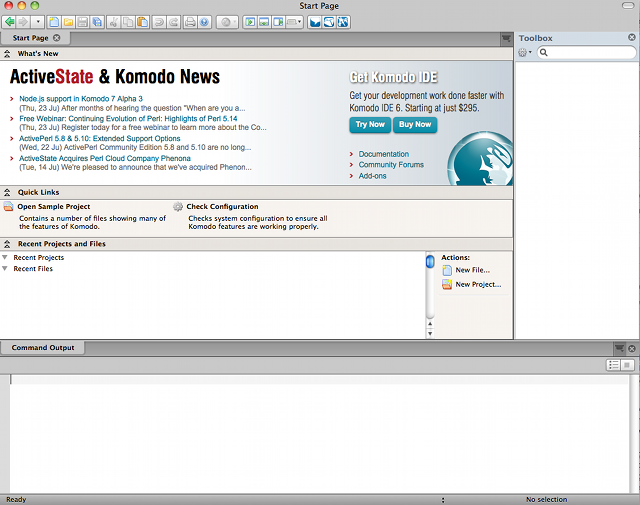 You can type in a statement and press the Enter key, and the shell will respond to your command. Using a shell is a great way to test statements to make sure that they do what you think they should. This is done slightly differently on Mac, Linux and Windows. William J. Turkel and Adam Crymble, "Setting Up an Integrated Development Environment for Python (Mac)," The Programming Historian 1 (2012), https://programminghistorian.org/en/lessons/mac-installation.